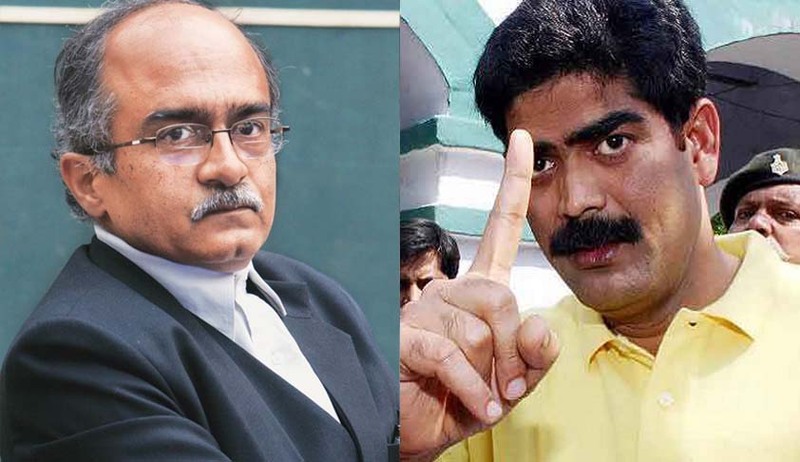 The Supreme Court today issued notice to Bihar’s gangster-turned politician Mohammad Shahabuddin on petitions filed by activist lawyer Prashant Bhushan and the Bihar state government challenging the bail given to him by the Patna High Court. A bench of Justice P C Ghosh and Justice Amitava Roy sought Shahabuddin's response within a week and posted the matter for further hearing next Monday. The bench also issued notice to him on a petition filed by Bhushan seeking a stay of the HC order. Bhushan argued that Shahabuddin was granted bail contrary to all principles laid down by the Supreme Court. He reminded the bench that he was convicted in 8 cases out of a total of 58 criminal cases for which he has been booked. Bihar government argued that SC had refused him bail earlier despite the fact that he had already spent ten years in jail.